Home Sewing Janome Vs. Brother – Who Makes The Best Sewing Machines? A comparison between two popular sewing machine brands in the US, Janome, and Brother. Both have their strengths and weaknesses. Brother and Janome are two prominent sewing machine brands in the US. Brother is the most popular sewing machine brand in the US, there is no question about that. Janome, on the other hand, is a brand which is fueled by loyal customers. Mouth publicity is what keeps Janome in the competition. Those who owned Janome had all praises for its quality. Coming back to the question. I consider myself as a person with some reasonable experience with different types of sewing machines, even then I find this question pretty hard to crack. Since many people have asked this question, I have to answer it. I will try to answer it as simply as possible. What Makes Brother Better Than Janome? Brother vs. janome. Features and price. Yes, as simple as that. When compared to Janome, Brother sewing machines are feature packed, and they all come with an affordable range. For example, if you want to buy a Janome machine that has all the features of a $150 Brother machine, you will have to shell out a minimum of $250. Brother sells the highest number of computerized sewing machines to the US. Brother has an upper hand in computerized sewing machines. Brother computerized sewing machines are always packed with advanced features and come with a lot of built-in stitches (sometimes 100, 180 and even more). Even though Janome makes excellent computerized machines, they don’t have a lot of built-in stitches. What Makes Janome Better Than Brother? Janome vs. brother. Build quality and durability. You can never complain about the build quality of a Janome machine. Janome guys have always taken extra care to use metal wherever possible, which adds to the durability of the machine. Janome machines tend to be much heavier than most Brother machines. The main reason is that the metal content is more. That is the reason why Janome has the best heavy duty sewing machines around. 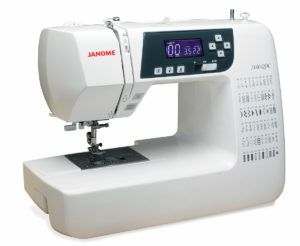 No one makes better mechanical sewing machines than Janome in the under $400 price category. Even though Janome does make some excellent computerized sewing machines, they are not as feature rich as Brother machines.